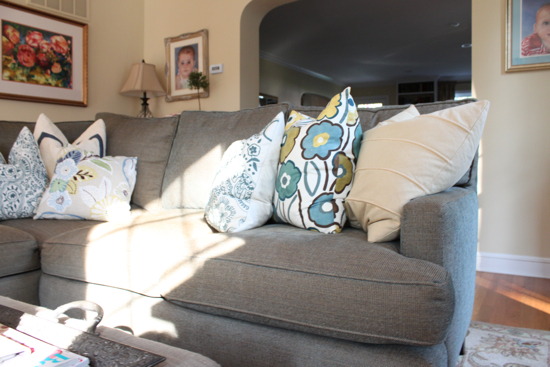 It's the never ending parade of pillows on our family room sectional. 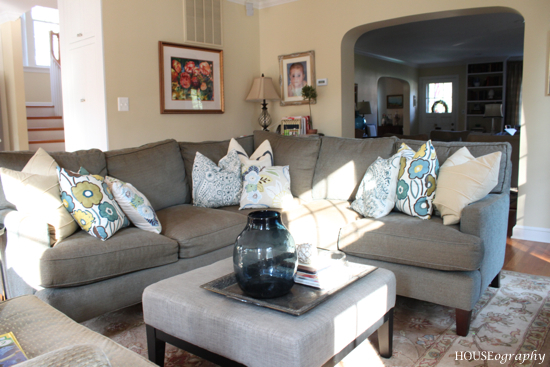 Part of the issue is that we really do need a lot of pillows on the sectional so we have pillows for lounging as a family which we do often on the weekends but rarely during the week thanks to my kids' 7:15 p.m. bedtime! The latest is an oversized graphic floral. The colors could not be more perfect. I walked by them 3 or 4 times before I decided to pick them up. I wasn't sure I loved the pattern but I knew the colors were spot on. I decided to take a chance (not a big one since they are returnable! ), and I took them home. 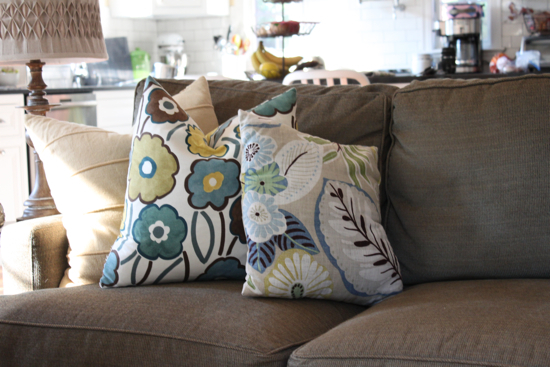 They are large, down-filled pillows and I think they were about $17. How could I go wrong? I'm so glad I took the chance! I love this area because it makes you want to grab a book and snuggle in. 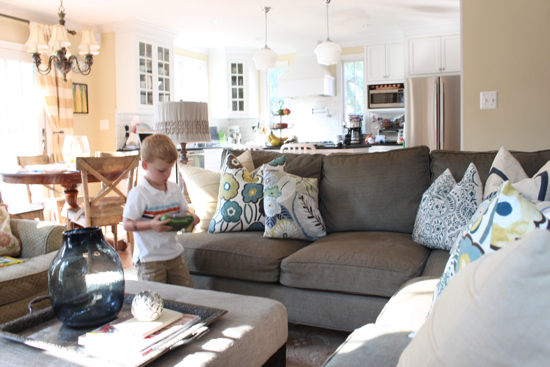 The tray on the ottoman is really working well and my kids haven't broken my blue vase so I call that a win! My next purchase is a new colorful throw. I think it should probably be in a yellow/gold/cream pattern but I am waiting to see what comes along.